Brand New Roof! Custom built home with log home features and great craftsmanship which is apparent as you walk through this home and notice the attention to detail with the wood doors, beautiful ceilings and wood detail throughout. This ranch home sits on just over 5 acres and w/half of the pond. 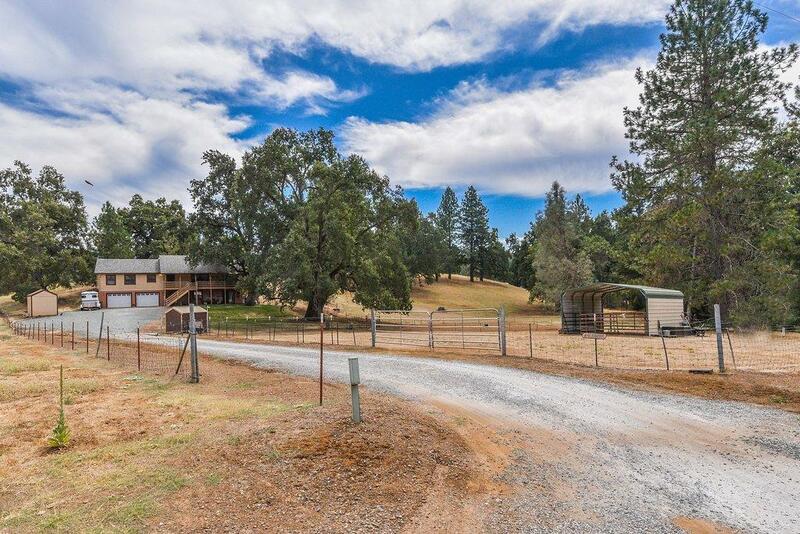 Great location with four gated pastures and a barn for all of your Equestrian or livestock needs or wants. Wood stove in the living room with venting, covered wrap around decks, 500 foot well and water softener.